Private Equity and Venture Capital firms have a broad spectrum of needs and solutions when it comes to CRM’s. As mentioned in a previous post, a willing and prepared management team is a requirement. Additionally, it is important to examine cost, maintenance and functionality of the CRM before investing in a product for your organization. This post answers two main questions regarding investing in a CRM: “How to chose and transition?” and “What to look for? Before settling for the first CRM you come across, it is important to do research. Make sure that the functionality and efficiency is at value with the cost. Server hardware costs, database software costs, IT infrastructure changes (such as required upgrades to hardware, software, and networks, updating and maintenance), training, costs for ongoing system updates etc. can cause unforeseen spending; causing your firm to go over budget. While this list is intimidating at first glance, a majority of these costs are avoidable with research and there is quite the payoff once the CRM is in place. In Private Equity and Venture Capital it is often a necessary organization feature that is added to the success of the firm. Without it, unorganized leads and clients can lead to lost deals, which ultimately costs the company unmeasureable amounts. In addition, quite a few CRM companies offer lump sum packages that will be heavily discounted from what these services would cost if purchased al le cart. Once you’ve decided to use a CRM it is important that all requirements are available both financially and technically, this will make the implementation of your new CRM much faster. 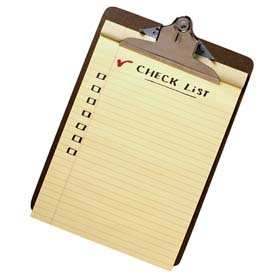 By having done the research prior to shopping for a CRM you are able to know what you can and can’t do. This saves time for you and the CRM providers you are deciding between during the buying process. There is no point in working with a company on a reasonable price if they do not offer the necessary features to have the CRM be successful with your firm. If users of the CRM have time to prepare for the transition, excitement and anticipation will build rather than a strong resistance to the change. Meet with the management team and allow a chance for input and warning to the users. By introducing the idea early on in the search process, it allows for preparation time before the implementation. This allows management to maximize the product and the users time. Finally, overall the use of the product is expected and understood therefore increasing the return on the investment because the objective is clear, to implement and increase the connections with potential clients. First don’t be disillusioned into thinking that you can hand a CRM to your employees and they will be able to figure everything out without any trouble. While good CRM’s are easy to understand, basic training brings up the learning curve of your employees and offers an increase in the success rate. Training should be reflective of the specific process you expect the users to experience. Providing context for how you’d like them to use the product allows them no room for confusion. If multiple departments are using the CRM, trainings should be specific to how the individual departments will be implementing CRM. Finally training is an on-going process, don’t assume that if people aren’t asking that they understand. Although users will want to be receptive, if they do not have any follow up after the training they will be less likely to continue to integrate it into their day to day life. The CRM should be equipped with a fully functioning database providing the organization with access to potential clients and resources. The database needs to be up to date with current contact information of the executives as well as a background on the company. This provides a competitive edge on competitors. It is extremely beneficial when the CRM is specific to private equity and venture capital because it allows the software architect to determine the goals and objectives of the user’s field. Furthermore, this allows them to identify carious audiences and what future needs may be. In addition the user can access information including reports and analysis, providing the most comprehensive type of database. Overall the goal is to have a database that is as thorough as possible with access to the most targeted information for the user so that data and information can be readily available for decision making. 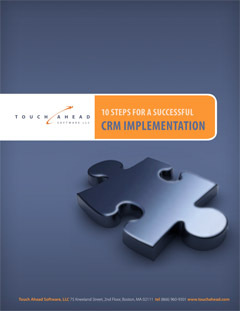 A CRM is only as good as its’ ability to organize and streamline the interaction between clients and the company. It is important to consider the factors such as research data, which needs to be accessed on a regular basis to monitor the progress of a company’s growth. One solution for this is customizable features that allow you to decide what is most important to track. 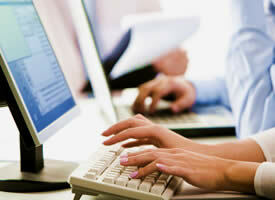 Managing documents is a large part of what a CRM should be able to do. Associating legal documents, financial reports, emails and other correspondence is a necessary and highly beneficial feature. This way users can access the important information within moments while never having to leave the CRM. This entry was posted in Blog, News and tagged Choosing CRM, CRM, CRM Adoption, CRM Implementation, CRM Software, CRM Solutions, Private Equity CRM, Software Implementation, Technology, Touch Ahead, Venture Capital CRM. Bookmark the permalink.